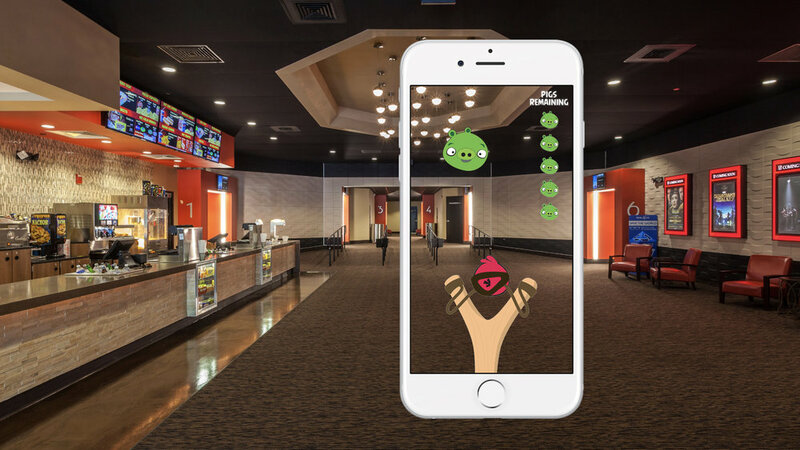 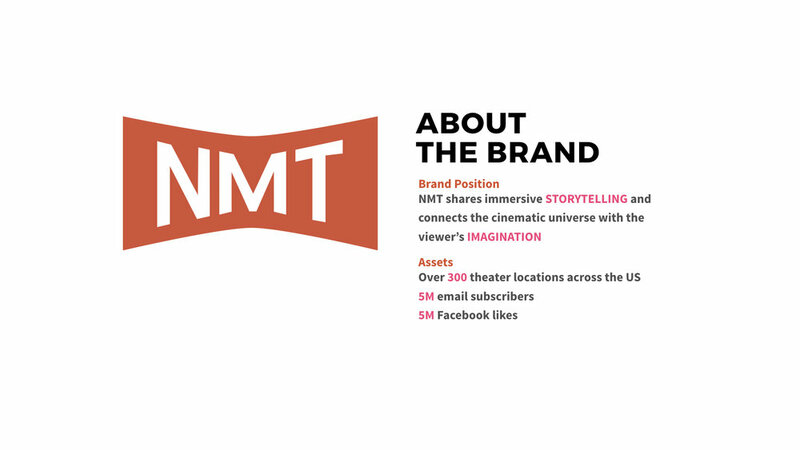 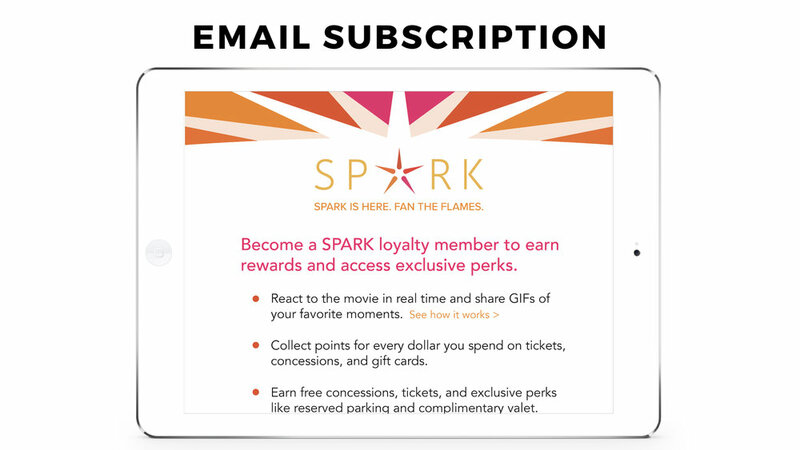 The goal is to create a loyalty program that rewards guest for seeing movies at a fictional theatre called National Movie Theatres. 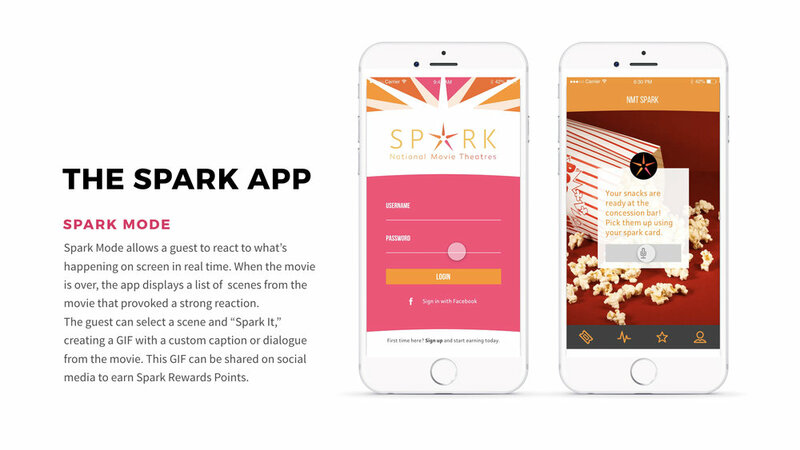 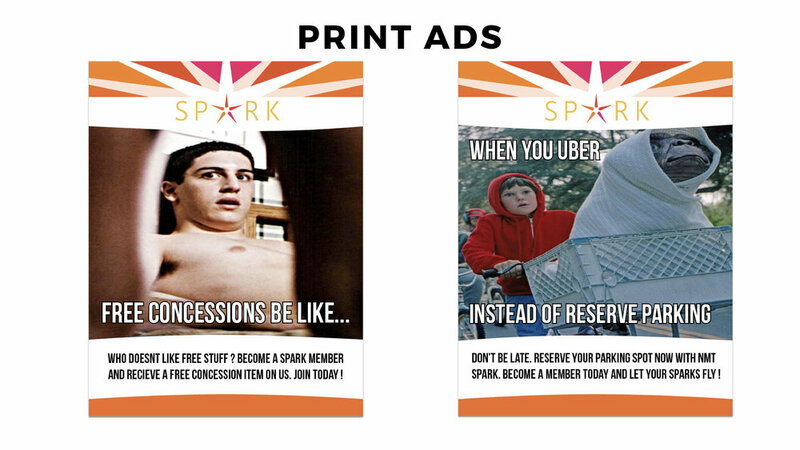 We created Spark program which contains a series of branding outcomes including launch event, mobile app, social media subscriptions, concession packaging and so on. 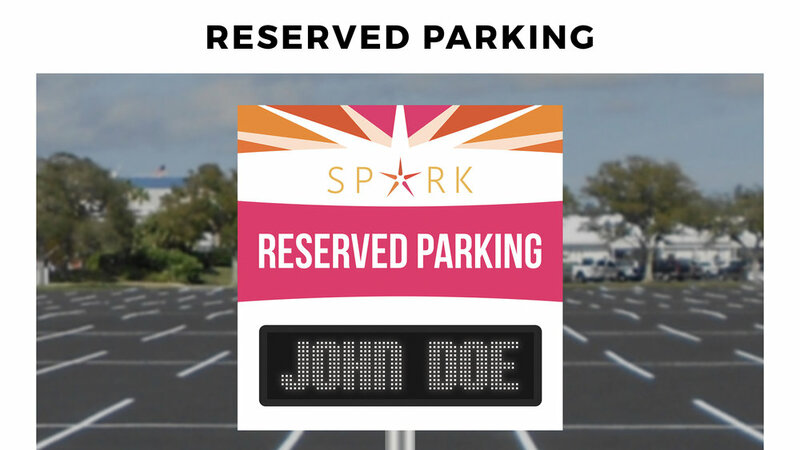 * Team Project with Jon Darby, Victor Tatum and Cam Goins. 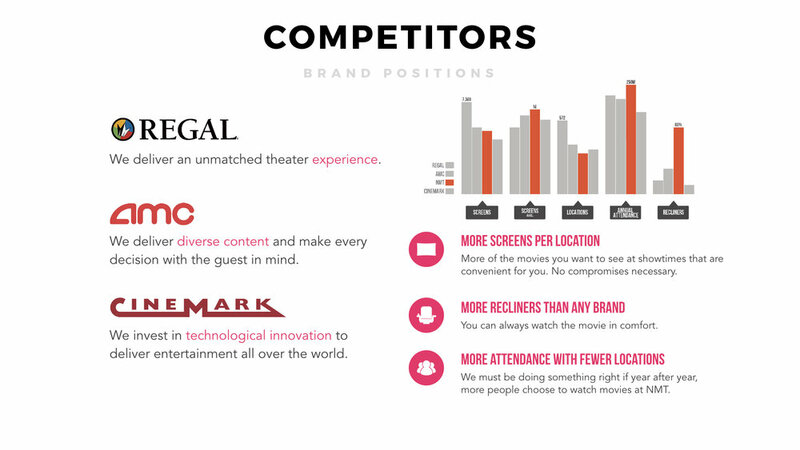 Major roles are branding, graphic design and UI/UX.